"Yes, yes, yes! I have been waiting for this collection and am thrilled to see it here! It is way too hard to choose just one thing that I love about this, the papers are gorgeous, the pillow puffs are super cute and both stamp sets are a must have. Thanks so much for the chance to win it before I can buy it! REPLY MAY 19, 2015 AT 09:11 PM"
*Please contact staff@octoberafternoon.com with your postal address and put "OA Summertime Blog Giveaway" in the subject line so we can get your scrap goodies out to you! October Afternoon is thrilled to announce a fabulous and fresh new summer themed line just in time to scrapbook your summer memories!! SHIPPING NOW TO STORES ONLINE AND NEAR YOU!!! To celebrate this new collection, October Afternoon is giving away to one lucky OA blog reader (random drawing) some goodies from this collection! *items included in giveaway shown below. IMPORTANT GIVEAWAY INFO: To enter, leave a comment below sharing a favorite item you like from this new collection! *Note-comments are moderated so they will not show up right away. Giveaway entries will close on Sunday, May 24, 2015 and a lucky winner will be randomly drawn and posted here on the blog on Monday, May 26, 2015! >>>>>Also of note: Other social media giveaways will be forthcoming, so if you aren't already following us on INSTAGRAM @octoberafternoon, now would be a great time to do so!! ;) Search Instagram with the hashtag #oasummertime to find more information on it ! Don't forget OA's Facebook wall for frequent updates and information there as well. Congratulations to our National Scrapbook Day Giveaway winners! Thank you to everyone who participated in our National Scrapbook Day Giveaway! More than 600 of you shared stories of your favorite vacations or dream getaways with us for a chance to win some great prizes from our new Travel Girl collection! Eight lucky winners have been randomly selected to receive prizes. Two will receive a Travel Girl collection kit and six others will be awarded a Travel Girl 8x8 paper pad! If you are one of our winners, please email your name and shipping address to jon.f@octoberafternoon.com and we will ship your prize right away. Angeline Tan - My dream trip will be to Alaska to watch the Aurora with my boyfriend. It's our common dream. :) Hope to win this kit to document my other travels before my dream comes true :). Thanks so much for the giveaway! 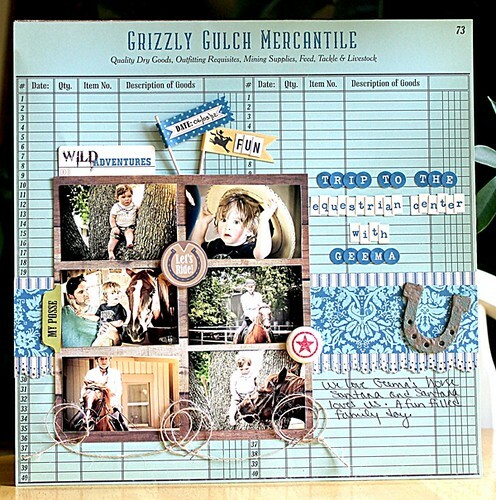 Kathy H. - Since the passing of my Mom back at Thanksgiving and my Dad passed away of Alzheimers on Father's Day weekend last year, I have been wanting to make several scrapbooks for our family. I have so many pictures. I would love to honor their many years of travels together through the 66 years they were married and Travel Girl, plus some other of the OA lines, will be perfect for completing this dream. Thank you for always being such a "10 out of 5 stars" company to all you serve. Joan Fowler - I just returned from the trip of my dreams - Italy - touring Rome, Sorrento, Pompeii, Florence, Orvieto, and Venice. I just finished editing over 1,400 photos and am now ready to start my Italy scrapbook. This collection would help me on my way. Donna Gabbard - Travel Girl is just what I need to motivate me to work on my scrapbook of last year's vacation ... which was a Mediterranean cruise. We visited Italy, United Kingdom, France, Portugal and Spain. I have my vacation photos and keepsakes piled up but dread the task of scrapping ... I think Travel Girl would help me get the job done! Thanks for the chance to win! Candee Schamber - Adore OA and your products! This package would fit wonderfully in my travel scrapbook of our trips to South Dakota! Debra Stoner - We are planning to bike the Canal du Midi in southern France for our 25th wedding anniversary next year ... how perfect would the Travel Girl Eiffel Tower journal card and biking sticker be!? Thank you for the chance and the inspiring blog. Barbara Gee - I have two huge bins of my grandmother's travel photos from the 20s through the 80s. Travel Girl would be PERFECT to bring light to these gorgeous photos that are currently trapped in a closet. Stephanie Patterson - I was lucky enough to take a trip to the Netherlands and Budapest in November to visit my niece that was studying abroad. I went with my sister and it was the most time we have spent together since living together. I've been waiting to make the album for just the right paper. Love October Afternoon SO much! Congratulations ladies! Remember to email your shipping information to jon.f@octoberafternoon.com. Win great prizes! 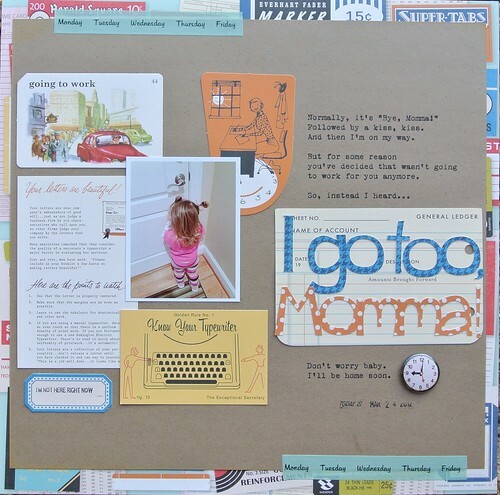 Enter our National Scrapbooking Day Giveaway! Here at October Afternoon we can only think of one thing better than celebrating National Scrapbooking Day by giving away some cool prizes. That would be WINNING some of those cool prizes! So, in honor of National Scrapbooking Day on Saturday, May 4th, we're giving away some fabulous prizes from our new Travel Girl collection! ENTERING IS EASY: Just leave a blog comment telling us about a trip you have taken, or the location of the "dream vacation" you hope to someday take, and how the Travel Girl collection might fit into your plans to document and preserve the memories of that getaway. It's that easy! Two lucky winners will receive a Travel Girl Collection Kit containing 24-sheets (2 of each design) of Travel Girl paper plus one sheet each of Shape Stickers, Word Stickers, Alpha Stickers and Label Stickers! Six lucky winners will receive a Travel Girl 8x8 Paper Pad containing 24-sheets (2 of each design) of Travel Girl paper on 65-lb. cardstock! Your deadline for entering is 3 PM CST on Tuesday, May 7th ... we'll post the winners on the blog on Wednesday, May 8th! 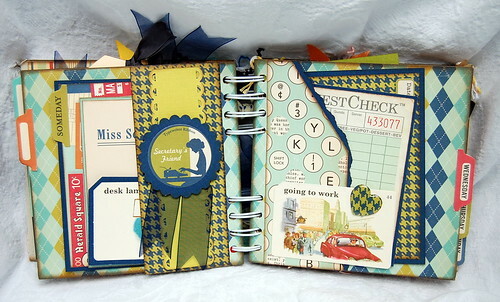 Good luck and Happy National Scrapbooking Day! Thank you to everyone who posted a comment on the blog reveal of our new Travel Girl collection! This line has received rave reviews and will begin shipping to stores in April! Finally, a line just about me. I am your travel girl.... Israel, Paris, London, San Juan, Rio so far. And this is just the line to doucument all the fun. Would love to win and add travel girl to all my other treasured OA products! Congratulations Queenbanana and thanks again to everyone who posted comments! We are jam packing today's post with WINNERS!! First off let's get this post started with our latest giveaway, from last week's Kit Spotlight post for the giveaway of Studio Calico's Summer of '69 kit. What a turnout for this giveaway! WOW! April W!!! April see below, where to send your shipping information. We have a couple drawings that we are late to the game on awarding, but we are thrilled to announce both our June 27, 2012, Miscellany Giveaway winner as well as our July 11, 2012 Woodland Park Blog Hop Grand Prize Giveaway winner, today! So, without further aideu . . .
We had a HUGE turn out for our Woodland Park blog hop and collection kit giveaway in our comments. Thank you, each and every one of you who left such sweet words about Woodland Park! We are thrilled that you love this collection as much as we do! April, Kim and Jamie, please send an email to staff@octoberafternoon.com with you full name and address within 30 days to receive your prize. Thank you so much! Cakewalk Collection Kit prize out to you. Angie please email staff@octoberafternoon.com with you full name and address within 30 days to receive your prize. Another day, another reason to celebrate! Life is a Cakewalk, and it’s time to party with October Afternoon’s new line. Whatever you’re celebrating – a birthday, an anniversary, a life milestone – Cakewalk is sure to please. Classic in style, warm and fuzzy in color, this celebratory line is the perfect canvas to preserve special memories of happy times. Cakewalk’s vintage imagery is timeless yet contemporary. Young and old are sure to be enchanted by the line’s beautiful papers, embellishments, and ephemera. Whether you’re two or 102, Cakewalk’s illustrations and graphics will delight both avid and casual scrapbookers. 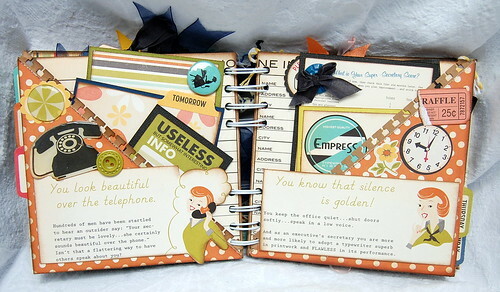 Cakewalk is perfect for customers looking for a festive and heart-warming collection of scrapbooking products. This versatile line has something wonderful to offer for every special occasion, so send in your RSVP today! We want to know your thoughts on this line and for leaving us a comment we will enter you in a grand prize drawing for a Cakewalk Collection Kit. Winner will be announced May 9, 2012. Hop on over to our some of our design team's blogs and see what they have done with this line and for more opportunites to win Cakewalk products. Danni Reid at Danni Reid.